We are pleased to offer professional development opportunities to members. Not only can you earn credit for maintaining your CHMM – we also strive to bring in engaging speakers who can keep you informed of the new and exciting happenings in the world of hazardous materials management. We invite you to let us know if you would like to hear a talk on a specific subject or if you are interested in presenting! Advocates for Responsible Disposal in Texas (ARDT) will be giving a technical presentation. 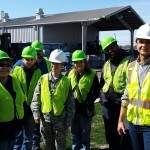 ARDT is an association of low-level radioactive waste generators supported by S.T.P. Nuclear Operating Company, Comanche Peak Nuclear Power Plant, Vermont Yankee, and individuals from the health physics, medical and university research communities. The Lone Star AHMP Chapter is pleased to announce our meeting this Friday which will be a technical presentation regarding the Brownfields resources available in the City of Austin. It will include information regarding site assessments, cleanup loans, and case studies of projects that have redeveloped around Austin. Kevin O’Hearn with Tanknology presented an overview of Federal EPA regulation 40 CFR 112 Spill Prevention, Control, and Countermeasure (SPCC) plans, inspection findings, and what’s new as related to SPCC compliance. Tanknology is one the world’s largest provider of tank testing, inspection, and environmental compliance services for petroleum systems. Tanknology is headquartered in Austin, Texas. They have tested more than a million tanks and provide associated compliance services at more than 50,000 sites each year. Thank you to Tanknology for sponsoring lunch during this technical session! 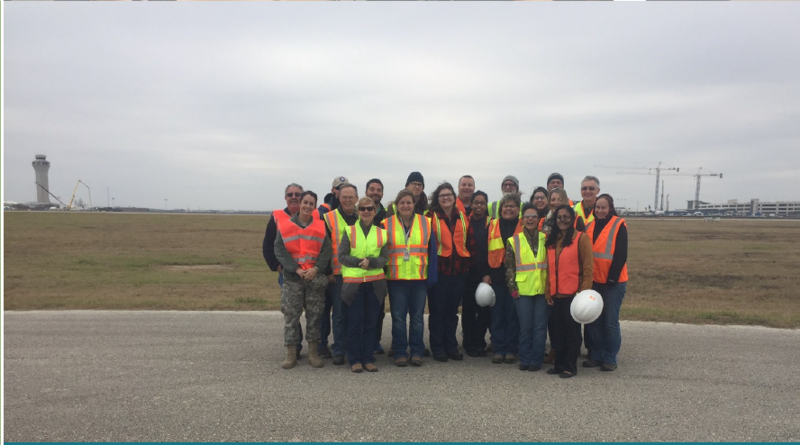 Our friends at Texas A&M University are hosting a tour of their BioWaste Facility on June 15! We are excited that the chapter will be allowed this behind the scenes tour to see the digestor (1500lbs to 7000lbs capacity) that disposes animals for the whole University. 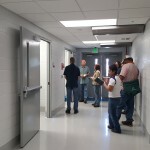 The tour was a behind the scenes of the Power Plant Expansion (PPE) building at UT Austin. 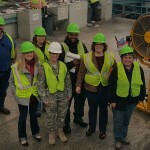 It was a wonderful opportunity to see how this facility provides power (i.e. 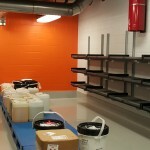 heating, cooling, etc.) for the whole University! For more information, email the Chapter. The Chapter was pleased to host an air quality technical session, sponsored by AECOM in Austin. Mark Modrak, AECOM Project Manager, gave a presentation on fenceline monitoring methods for industrial facilities. He specifically addressed the EPA’s Petroleum Refinery Sector and Technology Review (RTR) rule that requires all refineries to conduct fenceline air monitoring for benzene using passive sorbent tubes at multiple locations. Mark manages emissions monitoring projects using optical remote sensing and other technologies to characterize emissions from sources such as refineries, landfills, and agricultural facilities. His presentation showed one of the studies he conducted at a refinery and how the report maintained EPA compliance. For more information about this presentation, email the Chapter. Mark Wehner, ARM, CHMM with Medxcel Facilities Management (Seton Healthcare) presented a well-received, in-depth look at Waste Management Challenges in Today’s Hospitals. 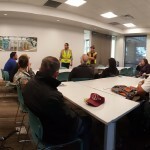 Mark shared many of his lessons-learned, tips, and hints gained during his 27 years of providing waste management services to the Seton Network. His talk discussed routine waste streams like medical and hazardous as well as some of the more unusual and challenging ones like Ebola, CJD, and radioactive contamination. Lone Star members experienced a driving tour of the Hornsby Bend Bio-solids Management Plant – the home of Austin’s infamous “Dillow Dirt”. 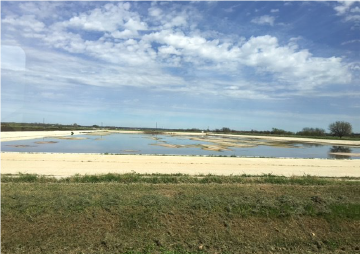 This facility receives and processes sludge from two wastewater treatment plants in Austin to make Dillo Dirt. Dillo Dirt is a compost made by the City of Austin, Texas since 1989. It was the first program of its kind in the state and one of the oldest in the nation. This facility provides more than just a benefit to man and waste management goals – the ponds are a also a bird habitat and recognized sanctuary! 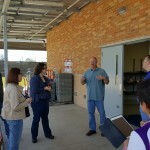 This tour was possible due to the hard work of our Professional Development Committee members. For more information visit: http://www.austintexas.gov/dillodirt or check on the Spring 2017 edition of the Lonestar AHMP Newsletter. 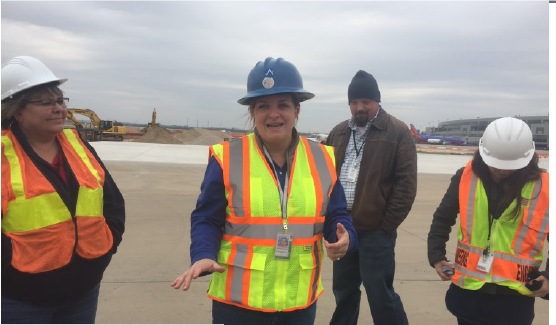 Many thanks to our friends at ABIA for telling us more about the airport’s environmental protection programs, including energy and water conservation, recycling, emergency planning and spill response, waste management and diversion, storm water quality and management, and hazardous material management and reporting. We’re looking forward to seeing changes at ABIA! Also, the chapter would like to express our gratitude to Chrissy Mount for helping to arrange the tour and providing a detailed briefing with so many interesting facts! The Airport currently serves over 12 million passengers annually. The Barbara Jordan Terminal is only designed to serve 11 million passengers annually. The newest terminal (still under construction), new terminal expansion will increase airport terminal capacity to 15 million passengers annually. ABIA’s terminal and ramp operations generates almost 11,000 pounds of waste every day. That equals the take-off weight of 26 fully loaded Boeing 737-700 jets annually! Waste Streams from ABIA include such items as: Used absorbent, Oil filters, Spent anti-freeze, Paint and paint-related waste, Water quality pond filter media, Non-hazardous refuse, and (of course) Construction and demolition debris. and their Universal Recycling Ordinance (URO) – Requiring food permitted facilities to divert organic waste (to include all restaurants at ABIA by October 1st, 2018). 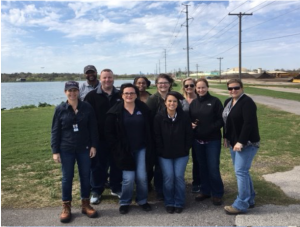 For more about this amazing tour and all of the great things the City of Austin and ABIA are doing to be good environmental stewards please check out the most recent Lonestar AHMP Newsletter. Special thanks to our tour guide, John and the University of Texas – Austin for allowing Lone Star AHMP a behind the scenes look at the new Materials Transfer Center. Only having been occupied for 5 months, and still getting settled in – we’re quite thankful for the opportunity to see this facility as it transitions into service. 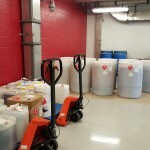 This facility replaces the previous hazardous materials management facility – charged with handling the wastes generated by over 16,000 working labs on the UT-Austin campus. Some really amazing features and efficient systems help keep the facility running well and protected in case of an emergency. One such feature is the optical illusion floor – which appears and feels level but actually slopes the entire building into containment! 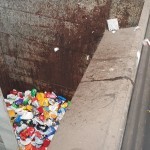 Other state-of-the art systems help secure or segregate the types of wastes to ensure the highest safety and storage. 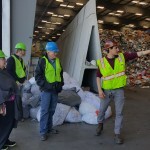 The facility also helps the University save thousands per yer by giving a proper place to palatalize and consolidate wastes and better facilitate the rinse and reuse of non-bulk containers. Another neat concept to save time and ensure the highest efficiency is the use of custom waste tracking tags… which are placed on a waste at generation (in the lab) and the number/ description follows all the way to manifesting! Each waste also gets a sticker to identify it’s type, to facilitate quick segregation once “in the door” of the facility. Talk about a smart system to help document wastes and aid in proper waste coding. Given the amount of research going on at the university they go through a staggering 12,000 tags per year – so it is a huge help in properly managing wastes “cradle to grave”. 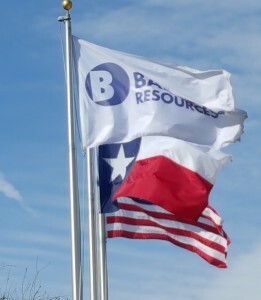 Thank you to all the attendees who came out to our technical session at Balcones Resources, February 5th. 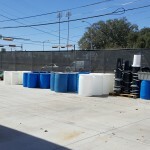 This $30M, state of the art facility located in South Austin processes several streams of household waste and recyclables. 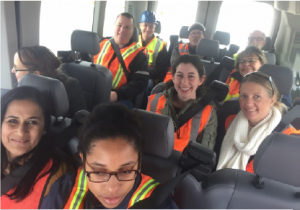 Our members got a behind the scenes look at the processes for sorting, cleaning, and managing TONS of materials in a matter of minutes! A huge thank you to our tour guides from Balcones Resources who patiently walked us through the facility and answered our copious amount of questions! 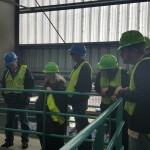 The facility processes an average of 60 tons of glass per day! The speed at which the facility sorts and processes materials was quite impressive – an average of 5 minutes from start to finish. Best of all, we learned that high value materials (such as Aluminum) can result in a win-win for both the generator and Balcones! 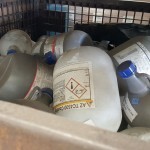 One of our members even spotted some hazardous materials containers at the facility (see photos below) – waiting to be recycled! 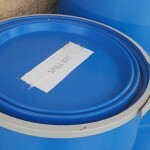 Talk about RCRA in action! 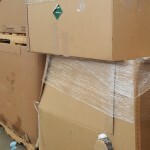 Does your company recycle fiber, paper, plastics, and Aluminum? What about those triple rinsed plastic bottles and containers? 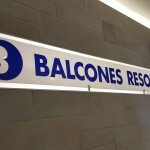 According to our guide, your company may be able to work with Balcones and receive incentive for high-value recyclables. 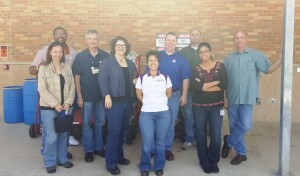 The facility and their staff are working hard to keep central Texas clean and green! With their help, approximately 60% of the City of Austin recycling is sorted and bailed and a staggering 3/4ths of household trash is actually recycled or composted! 20160205_123619 from Linda Salzar on Vimeo. 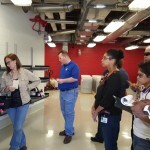 (June 2015) Tour of JJ Pickle Nuclear Reactor & facilities (Nuclear Engineering Teaching Laboratory (NETL)) at The University of Texas at Austin. Scott Pennington, CHMM: Successful Neutron Reflector Replacement at the Nuclear Engineering Teaching Laboratory (NETL) at The University of Texas at Austin. R. David Shiels, P.G., CHMM: The Environmental Challenges in Managing Production Waste Streams in the Oil Patch and Hands-On Solutions to Eliminate or Minimize Those Waste Streams. Patrick Durbin, CHMM: Ebola, The Untold Story: A riveting account of what happened behind the scenes of the Ebola panic. Bill Essex: Green Stuff presented an exiciting hands-on demonstration of their “Green Stuff Absrobent” and its abilities to absorb liquids quickly. 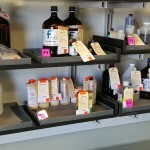 It is non-leaching and passes LC-50, TCLPs, SPLP, California WET, and other tests. Thank you also to Green Stuff for sponsoring lunch!